Headquartered in Githeio and the Maurovouni, you can visit various interesting places . First of all the Legendary Mani . The poet Stratis Myrivilis considers Mani as a small Greece with such strong character that you can’t find in any other Greek place . The route has wild beauty : rocky landscapes , the sea that penetrates into the land , impressive headlands , towering villages with their typical towers made of stone . The castle Passava is 8km from the Mavrovouni towards Areopolis . You can see the remains of a significant Frankish castle . Built in 1254 by the Franks to control the eastern entrance of Mani , on a steep hill height of 160 meters was the Acropolis of Las Mycenaean city . The name comes from the french phrase «Pas avant» which means « up to here ” because the Franks were stopped in this place , where the people of Mani were entrenched , and they didn’t leave them to traverse .Underneath the castle is lying buried the ancient city of Las . The center of Mani , is Areopolis , the city of the ancient god of war, Mars . It is located just 24 km from Mavrovouni . In the square Of Areopolis is the namesake Archangels church , a very important church (18th century) , where stands the stone rock that served to support the flag during the national revolution of 1821 . From here began the first revolutionary step against the Ottoman Empire ( 17 March 1821 ) . After traveling 32 km from Mavrovouni and leaving the main road just south of Areopolis ,you can reach to the Tower Dyros, you can descend to the coastal location of caves Glyfada (or Vlihada ) . Beneath the soil lies an unspeakable beauty , the most beautiful lake’ – cave in the world . It’s an underground river which is developed in two main parallel runways. Gerolimenas is one of the most beautiful coastal villages in Laconia, and it is 48 km from Manrovouni . It is located on the southern coast of Mani at the homonymous bay , the third northwest of Cape Tainaro . It is located 52 km from Githeio is the picturesque village Vatheia. The village Vatheia , in which have been restored, the most of the ruined towers . It is a memorial of Mani’s architecture. Laya is a municipal district of the municipality East Mani . It is a village with specific architecture. It is located only 17 km from Vatheia village , 24 km from Kotrona and 69 km from Mavrovouni . It was a colony of the ancient city of Las (current Passava ) and the ” Kato Lai ” is considered as Laya’s metropolis. The Cape Tainaro or Cape Tainaro Matapas is the most southern tip of mainland Greece and of the Balkan peninsula and is 63 km from Mavrovounio . In the small and isolated cave of Tainaron exists the temple of Neptune which is indicated by both Pausanias and Plutarch . The name comes from the eponymous mythical hero and founder TENARION , son of Zeus who built Tainaro . In ancient times ,the cape Tainaro was called ” Poseidion ” , while the Franks called the Tainaro as ” Cape Matapas ” . Laya is a municipal district of the municipality East Mani . It is a village with specify architecture. 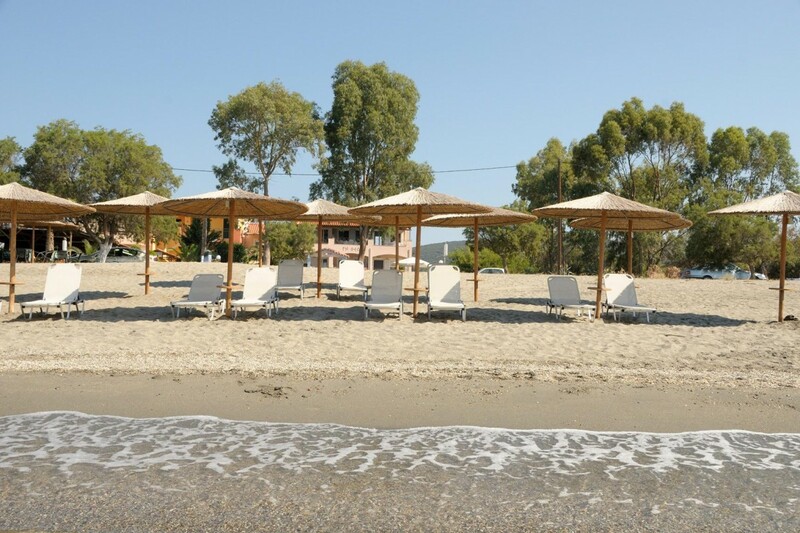 It is located only 17 km from Vatheia village , 24 km from Kotrona and 69 km from Mavrovouni . It was a colony of the ancient city of Las (current Passava ) and Kato Lai is considered as Laya’s metropolis. It is located 6 km from Sparta and 50 km from Maurovouni . In the Mystras , dominates the castle of Mystras , with its imposing walls , the palaces of Palaeologus , the houses, the Byzantine churches and the castle on top. Built on a hill on the northern slopes of Mount Taygetos , reaches a height of 621 meters and it is a great natural fortress which protects the ” drongos of Meligou . Monemvasia is located 69 km from Maurovouni . From a strip of land four hundred meters which connects the Laconian coast with the rock of Monemvasia and thousand meters coastal route will get to Monemvasia . The name ” Monemvasia ” is derived from the synthetic ” only ” and ” entrance ” and means a town that is only accessible from an entrance . The city is divided into the upper town where there are only ruins, remnants of the Byzantine aristocracy and the conquerors , and the lower town which is a “living ” castle with residents and homeowners . Only the Saint Sophia , the most artistic artifact of Byzantine architecture , stands intact on the north side of the hill , at the edge of a steep cliff. Built in the 12th century work of Byzantine emperors , who after the peace of the Mediterranean and the removal of the Arab threat , turned their attention to the south , to give the people a common sense of orthodoxy .